What is Periscope? As you have probably heard by now, Twitter has released a new video sharing app for mobile devices. It’s called Periscope and it’s similar to the already-existing Meerkat streaming app, but with the addition of a few special features that its competitor lacks, such as the ability to automatically save all videos for 24 hours. This, by the way, is not to be confused with Periscope, the creative agency! Approximately 80% of Twitter users access the site through mobile devices. Dan Miller, the lead analyst for Opus Research, told Tech News World that Twitter’s strong mobile presence and superior video streaming capabilities make Periscope an ideal platform for interactive customer service. As a result, he predicts that a growing number of brands will leverage the platform to improve their customer service strategy. Without a doubt, live video chat is transforming the way companies provide customer service. Mayday was one of the first video streaming adopters that tried to penetrate the market and revolutionize the customer service relationship. But while Mayday offers a number of great features, Periscope is an improvement on the system in many ways. For example, one of the biggest advantages of Periscope over Mayday and other services is that it allows customers to save videos in order to replay them later. In a customer service setting, this is a feature you can’t afford to miss. Live streaming of product demos is an extraordinarily effective method for boosting conversions. Adobe, in particular, has used webinar marketing to boost conversions by 500%. But both Periscope and Meerkat have the potential to change the way that webinars are conducted, by allowing your guests to save the videos and view them later on their own. This makes Periscope a great tool for product demos, considering that people may want to refer back to your videos several times to see your product in action before making a buying decision. While services such as EasyWebinar also allow you to save webinars and videos for a later date, they come with an annual fee that you may not want to pay. Periscope and Meerkat are both freely available on the app store. Periscope and Meerkat are only the beginning. In fact, Twitter is developing a number of business services that will make it an ideal platform for company branding, marketing research and other enterprise needs in the future. Take, for example, customer focus groups. Chris Moody, the V.P. of Data Strategy for Twitter claimed that the social network is already the best provider in the world for companies that want to organize focus groups. While Moody’s statement was made primarily in response to a new analytics tool that Twitter is unveiling, Periscope is also a great example of Twitter’s new opportunities for companies that want to get feedback from customers as they engage with their products. Focus groups are one of the best ways to seek detailed feedback from customers about your products and services. However, it’s often difficult to get customers to participate in focus events if they’re based in other parts of the world. Video sharing apps like Periscope and Meerkat eliminate these geographical boundaries. Instead of limiting yourself to customers that are nearby, ask customers around the world to experiment with products and give you live feedback over the video streaming app. 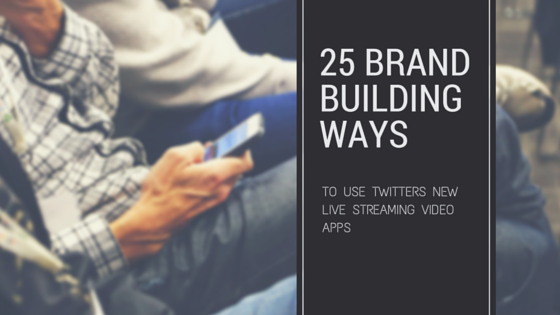 Free Bonus Download: Get this list of 25 awesome ways to leverage this powerful app and start building a brand people can trust! Click here to download it free. Customer feedback is also becoming very important for business branding needs. According to research from BrightLocal, 79% of customers trust online reviews as much as personal recommendations. Online reviews are unquestionably a powerful way to make a good impression to your customers, but reviews delivered over Periscope can be even more effective. Brands can engage with customers over live video streaming and ask them for feedback on the company’s products and services. 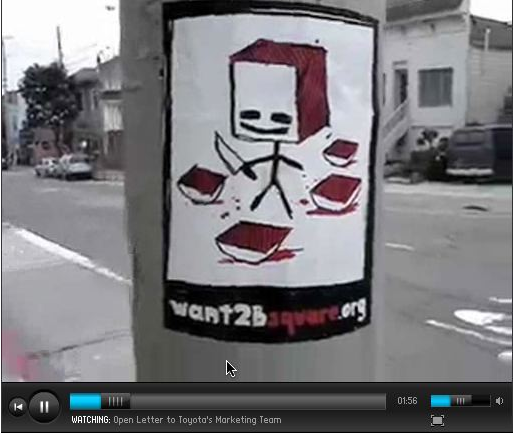 Then, businesses can share their feedback with other viewers, clearly demonstrating the support they have for them. Reviews that are made over live video come across as much more genuine than text reviews published on a webpage, which is why we expect to see many brands using Periscope or Meerkat to solicit customer feedback in the near future. Lack of trust is a huge problem that brands face when trying to market to customers over the Internet. In fact, a 2009 survey from the Office of Fair Trading found that one in three customers are reluctant to purchase goods and services online due to their tenuous relationship with the brands they’re following. The trend appears to have since shifted as brands engage better with customers over social media, but companies must still work hard to earn their customers’ trust. Brands that engage with customers over Periscope or Meerkat will come across as more transparent, simply because they’re willing to show their faces and answer customer questions in a live setting. As a result, these video sharing apps are likely to emerge as one of the most effective tools out there for building consumer trust. Keeping customers updated about recent developments is very important. And instead of involving your company’s entire media production team in a new rollout, video apps like Periscope and Meerkat allow you to notify customers about major changes, announce upcoming products and address any timely questions they may have about these events – all from a simple video captured on your phone. Of course, if you’re going to use video apps for this purpose, you’ve got to make sure that you have a clear vision of the message you want to deliver to your customers – before hitting the “Record” button. Your breaking news report won’t make much of an impression if you stumble through the whole thing because you didn’t take the time to prepare! Conducting interviews is a great way to improve your brand image, as customers will look more favorably on your brand if you’re actively engaging with other experts in your field. To use video apps for this purpose, interview other speakers on Periscope or Meerkat so that your customers can view the interaction over live video. Tap into their expertise and give customers the opportunity to hold a dialogue with you and your guests. You can also interview customers that have positive feedback to share about your brand. Ask them to share their experiences with your viewers and give their feedback on how new customers can receive the best possible experience from your products and services. The Internet hasn’t made traditional trade shows obsolete, but it has changed the way that they’re run. Instead of relying on an expensive booth to make your presence known at these events, use online media to share the developments at trade shows with viewers all over the world. Since 81% of trade show attendees are more likely to buy from the brands they encounter, take advantage of the opportunity to connect with as many customers as possible. Periscope and Meerkat give customers from around the world the opportunity to have an up-close and personal view of major trade shows. In fact, Kevin Siskar, an entrepreneurial coach and graduate of the Founder Institute, states that Periscope is going to play an important role in trade shows in the years to come. Red Bull is already taking advantage of Periscope for this specific purpose. Recently, the company streamed some of the events it was holding at the Red Bull Guest House late last month, allowing fans from around the world to get in on the action. Promotion marketing is a great way to expose customers to your brand. The Periscope and Meerkat apps give you an easy way to tell your followers about any promotions or deals that you’re offering, generating visibility for your brand and possibly attracting new followers. The different types of promotions you might want to try running could include discounted services, free consultations or samples. Alternatively, you can hold an event over your video sharing app for the sole purpose of giving away incentives – or you can offer them during a streaming session meant for another purpose. Either way, offering great deals is an easy way to help make your brand more memorable. Another great way to use apps like Periscope and Meerkat is to tell customers about your brand story. For example, you could hold a video session to tell them how the company came into existence, what its core mission is or what differentiates it from other firms. Customers will be more likely to embrace your brand if they can see your passion behind it. Telling your story on live video is one of the best ways to convince them that you have a genuine desire to serve them – not just a desire to sell to them. The members of a company’s executive team can be among its most powerful brand influencers, but these head honchos rarely have the time for one-on-one dialogues with individual customers. That’s a big deal. It’s so big, in fact, that the Human Resources Management of Chicago recently held a webinar trying to educate executives about the importance of increasing their presence to build their brands, because it’s something that so many brands need to address. 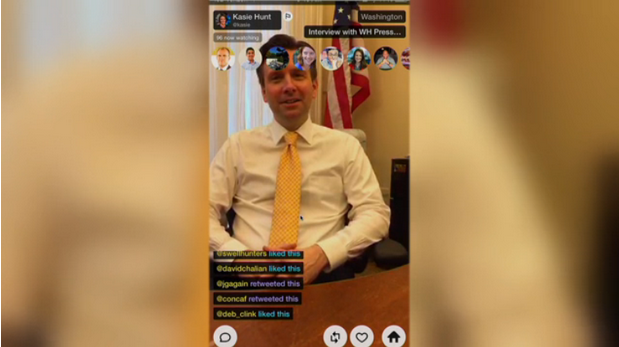 Periscope and Meerkat allow these executives to connect with people on a more personal level. They can personally deliver their messages and easily share their feedback with customers, which can make the entire organization seem more authoritative and accessible. Contest marketing is becoming a game changer for many brands. According to this infographic from Hubspot, over 70% of large organizations leveraged contests last year. The brands that invested the most in promoting their competitions realized the most benefits, which shows how important it is to be proactive about promoting your events. 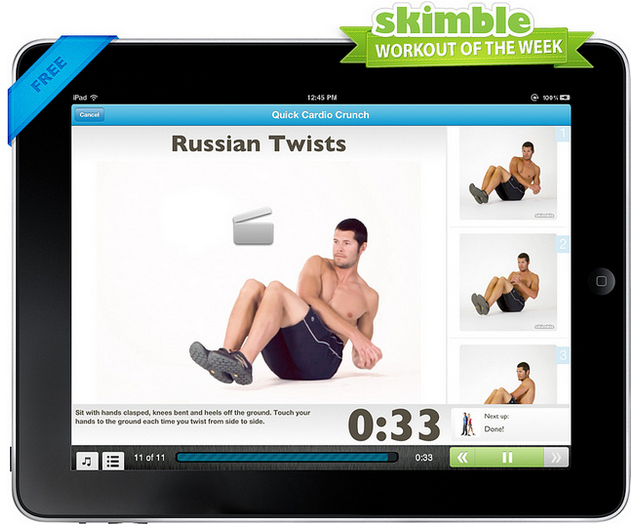 Video sharing apps are a great way to tell people about the social media events that you have coming up. And chances are they’ll be even more excited if you tell them about the events on live video, likely increasing the number of people that will participate. While most brands will likely use Periscope and Meerkat primarily for the purpose of marketing to their customers, they can also use them to better engage with journalists. You can use live streaming to hold press interviews and share your thoughts with journalists all over the world. Since you won’t be confined by geographical limitations, you’ll be able to connect with leading journalists from publishers all around the world. There are different ways that you can include journalists in your video events. For instance, you can invite them to events that you’re holding for your customers, though you may also want to connect with them separately since the content of your branding messages is likely to differ. More brands are using online Q&A sessions to communicate their messages with customers than ever before, as they’re a great way to clarify any points of confusion and de-emphasize any misconceptions that may be negatively weighing on your brand. However, many brands have run into issues on Twitter’s traditional platform, largely due to the lack of characters they can use to convey messages, their confusion with hashtags and the chaos of responding to hundreds of different questions simultaneously. For example, J.P. Morgan and British Petroleum ran into some serious issues with recent Twitter Q&A sessions for these exact reasons. Fortunately, Periscope and Meerkat give you a more organized structure for running Q&A sessions. That said, they aren’t miracle solutions. You’ll still need to choose the right spokesperson to deliver your brand message and make sure whoever you choose is educated about the key details likely to come up in the session in advance. Besides reaching out to customers, you can use video sharing apps to encourage customers to share their personal experiences with your brand. This can be more powerful than customer feedback on individual products, as your brand will likely have a lot more to say about your organization as a whole. If you have any customers that have been with your brand for a long time, invite them to speak at one of your Periscope or Meerkat streaming sessions so that others can hear about the experiences they’ve had with your brand. One benefit of Periscope over Meerkat is that it allows you to directly measure the level of engagement you’ve achieved with your audience. Specifically, Periscope has a feature that allows viewers to send you virtual hearts in real time. The more hearts you receive, the higher they’ll rise on the screen – and the higher the engagement you’ve achieved. Spotify is one company that’s already tested this feedback system, using Periscope to host a performance from Conor O’Brien. The app was able to determine that customers were impressed with his performance based on the number of hearts the streaming concert received at different times. This is a great way to gauge how receptive your viewers are to your brand. See which Periscope sessions received the most hearts, and then use that data to optimize your brand message and future streaming activities. Major organizations are gradually expanding beyond the borders of the countries they’re based in. The Global Policy Forum states that 51 of the 100 largest organizations in the world have a global presence, while one such example – Philip Morris – operates in 170 different countries. The transition to a global economy presents both unique opportunities and challenges to these companies. As an example, companies operating in different countries may struggle to connect with foreign customers. Fortunately, they can use Periscope or Meerkat to seamlessly communicate their branding messages to them, regardless of where they’re located in the world. Decades of research shows that people learn differently. Research on the Visual, Auditory and Kinetic (VAK) learning style was conducted in the 1970s and found that some people clearly learn much better from hearing feedback rather than viewing it. Unfortunately, most content on the web is visual, which makes it difficult for more auditory learners to understand and retain messages. Streaming your messages across Periscope or Meerkat will make it easier for auditory learners to absorb your material. And since they can engage with you in real-time, you can clarify points as necessary – helping the information sink in even better. If you have an educational message that needs to be relayed, sharing it in this format will help ensure it reaches the widest possible audience. Seeking feedback from customers is another important part of branding. You can conduct surveys over Periscope or Meerkat, which allows you to hear your customers’ voices and pick up on any tones or inflections they may be using. Your customers may also be more motivated to share feedback in real-time over video, so you may find that the participation levels of surveys held over video sharing apps are higher than those conducted on other web platforms. Ask any marketer working today – mobile media is becoming an increasingly important part of online branding. According to research from The Radicatti Group, 84% of all global consumers will own a mobile device within the next three years. That’s huge; but you need a good way to reach these new potential buyers. Video is also playing a more important role in branding, though there are currently few options for brands to reach their mobile customers with video. Periscope and Meerkat aim to fill this gap, making them worthwhile components of your mobile branding strategy. Monitoring your companies is a great way to spark new ideas to improve your own branding campaigns. You can watch sessions other companies are hosting on Periscope to come up with your ideas for your own live streaming events, or you can also view presentations of brands in your industry to monitor any developments you need to be familiar with to come across as an authority in your vertical. Periscope and Meerkat can also be powerful tools if you’re trying to expand into new markets. You can use them to hold Q&A sessions with foreign distributors to encourage them to promote your products. Or, you can engage with foreign thought leaders to convince them to help promote your brand to consumers in their country. Truly, nothing says “global reach” more effectively than apps that let you communicate with anyone, anywhere, at any time. 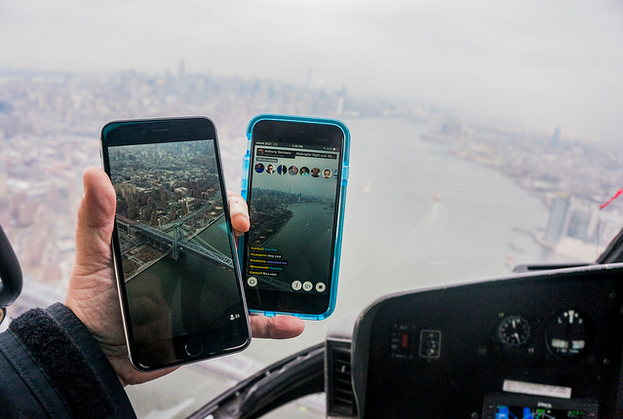 Hopefully this isn’t one you’ll have to use often, but Periscope and Meerkat can also be used to resolve PR problems after a major catastrophe. Responding to customer and journalist inquiries via Periscope shows that you’re willing to be transparent and that you have a genuine desire to answer any concerns they might bring up. Of course, you’ll still need to be careful not to overshare, because saying too much can be equally as problematic as ignoring the issue. You’ll need to maintain a delicate balance between responsiveness and pragmatism while dealing with the problem, and video sharing apps can be be a good medium to maintain that equilibrium. Are you trying to reach a different demographic than your usual target audience? If you find that you need to grow your brand image in new target demographics than the ones you’re used to, you can use Periscope or Meerkat to hold real-time events that cater specifically to these viewers. Your employees are ultimately one of the leading voices of your brand. As a result, you’ll need to make sure that all of your employees receive the same instructions and have a uniform understanding of your brand vision. Conducting your training sessions over Periscope or Meerkat will help you to oversee the quality control of the training process in order to make sure that all of your top level employees and branding ambassadors are on the same page. With all these potential uses in mind, it’s clear that Periscope and Meerkat have tremendous potential for online branding. Take the time now to educate yourself on the features they provide and consider using these helpful tools in the future to help strengthen your brand image. Is your business leveraging Periscope or Meerkat for online branding purposes? If so, what strategies have you adopted? Share your thoughts in the comments below!